Piekenierskloof Wine Company, previously Citrusdal Wines, is co-owned by the renowned Charles Back, some 700ha of vineyard in the Olifants River region under cultivation. 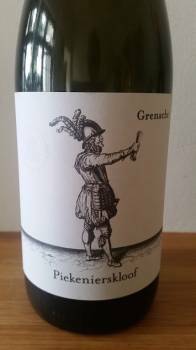 The recently launched Grenache 2014, with an approximate retail price of R125 a bottle, is a note-worthy wine. From vineyards ranging from 30 to 50 years in age, production currently amounts to 5 000 litres but according to winemaker Jaco Brand could be ramped up to 30 000 litres should it find favour in the market. Matured in old oak for eight months, it shows red and black fruit, dried herbs, earth and spice. Good fruit expression, bright acidity and relatively soft tannins. It’s not complex or ultra-refined but not glib either – a great mid-week drink. It’s available. Call 022 921 2233 for more information.